accomplishment and, we hope, an awe of what God has made for us to enjoy. therapeutic riding or equine-assisted therapies. physical and sensory input that is translated to the rider. The movement of a horse’s pelvis leads, naturally and gently, to a movement response in the rider’s pelvis thereby helping to develop a foundation to improve both neurological function and sensory processing needed to perform a variety of daily tasks — from walking and running to hand and eye coordination. As the rider learns to walk with the horse the sensory input is transferred from the mount to the rider. It is our desire to offer riding lessons (private and group) for those who simply could not otherwise afford the experience. We provide complete training in rider etiquette and safety as well as horse grooming and feeding. We‘ve found that those who have physical challenges as well as those who simply want to ride but can’t afford to do so have the following in common… they need a safe environment with great trainers, a casual, inviting environment and (most of all) horses. Since the cost of therapeutic riding as well as horse riding and training in general is usually out of the price range for most families, it is our ultimate goal to be able to find sponsors for those who need assistance. 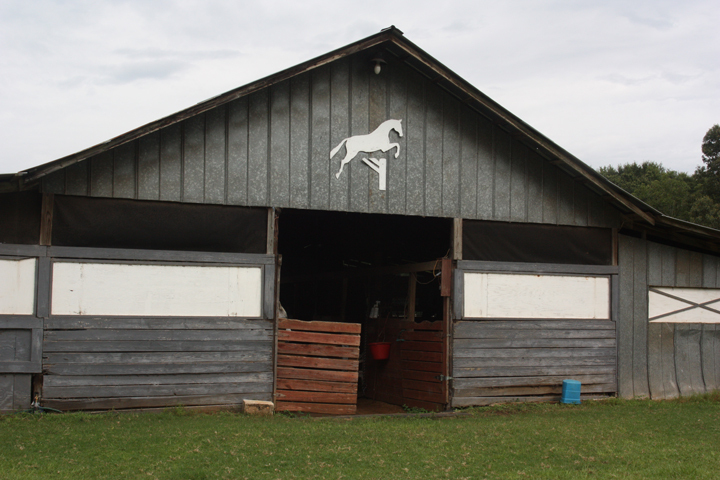 As a bonus, we hope to be able to provide a ‘learning environment’ for teens and adults who cannot financially afford our services but who can offer ‘elbow grease’ in order to provide upkeep for the grounds, stalls and horses in general. Recently we began working with Eagle’s Landing (a facility that provides services to meet the unique needs of veterans who have served in our nation’s active military but who now find themselves homeless. Some of those who live at Eagle’s Landing suffer from PTSD or have other mental, physical and emotional issues — many of whom we hope to help through our equestrian therapy program (Therapeutic Horseback Riding). My wife, Dawn, has been training horses and riders for a bit more than 22 years and absolutely loves helping people. Those who serve on the board of 99 for 1 Ministries as well as those who volunteer with us hold a special place in our hearts for veterans. Unfortunately, providing horses, taking care of the same and assisting veterans and others through this program takes one thing we don’t have a lot of… money. Below you can view a video and learn (a little bit) as to how our program can help vets adjust to the stresses of their new, non-wartime lives. The motto is 99 for 1 Ministries is that we exist to serve the under-loved and I promise you… most of the vets we meet definitely feel the need to be loved! As a non-profit organization that does not take money from any level of government (local, state or federal) providing the services you’ve just read about to the many people who need them won’t be possible without generous, tax deductible donations. Also, we’re going to need additional equipment so that those who are severally handicapped can still take advantage of the therapy we’re going to offer.